ARW Files: What Are They and How Can I Handle Them? If you are a fan of Sony cameras, you probably came across this question while trying to see or send your digital photos. For a new owner of a Sony Cyber-shot DSC RX100, such as myself, handling ARW files turned out to be a tricky business. After taking the first series of photos with my brand new camera, I was quite excited to download and view them on my computer. However, I quickly started asking myself what type of files are these “ARWs” downloaded from my camera and why aren’t my regular image viewers able to open them? ARW is the extension used by most Sony cameras to create RAW images. Or in other words, uncompressed images that can later on be adjusted and edited using computer software. 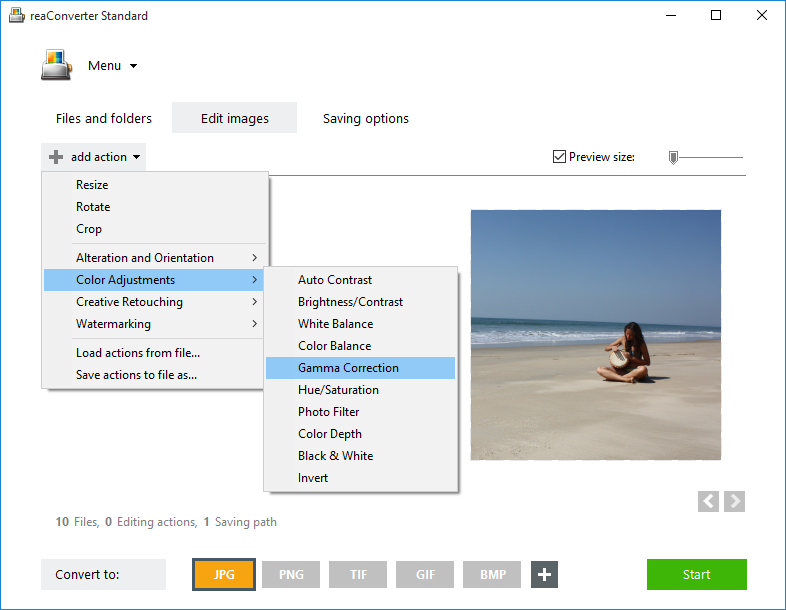 Photographers generally like RAW images, because they allow you to customize the image any way you want. However, their downside is that they can be up to 6 times larger than JPEGs and are not supported by most regular software used for viewing images. 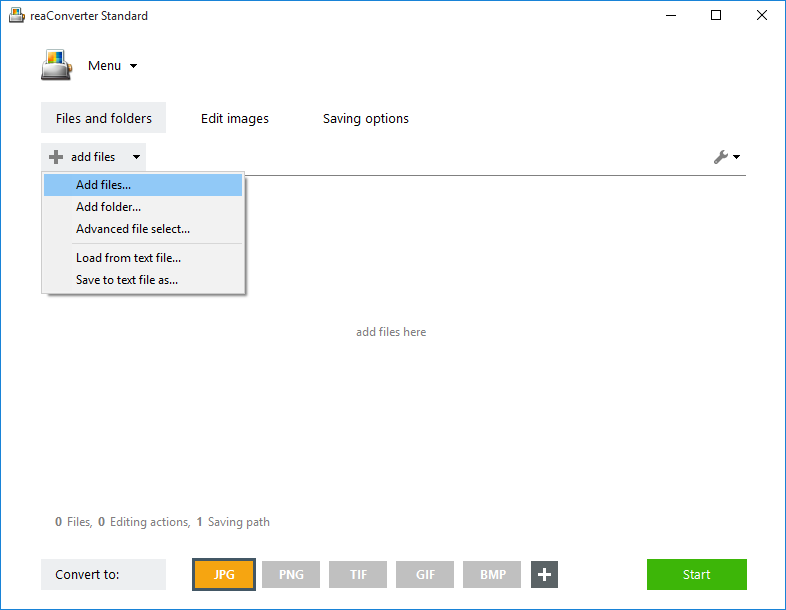 After doing a bit of research about how to handle these files, I found that there are mainly two ways to manage your ARW files — the “hard” way and the “easy” way. Naturally, I recommend the second option. But here is a quick review of both. The “hard” way of viewing and editing ARW files is to use a sophisticated graphics editing software, such Adobe Photoshop or Corel Draw. The disadvantages of this option are not only related to the difficulty of using such programs – which are mostly targeted toward professionals and, hence, require some serious training, but also to their price and availability. To put it simply, such programs are expensive, difficult to use, and they take a lot of space on your computer. Download reaConverter from www.reaconverter.com and try it for free. The software is small, quick to install and you don’t need to be an expert in graphics design in order to start your conversions in a few minutes. Load all the ARW files you need to convert, since reaConverter supports batch conversion. Choose among the large variety of options available for customizing your image. Here you can adjust the brightness and contrast of your photo, add borders and shadows, rotate or resize. You can also apply several image effects or add watermarking in order to protect the copyright of your image. Choose the format of your output file. JPEG, TIFF and PNG are considered to be the most popular and easy to handle by regular image viewers, but other options are also available. 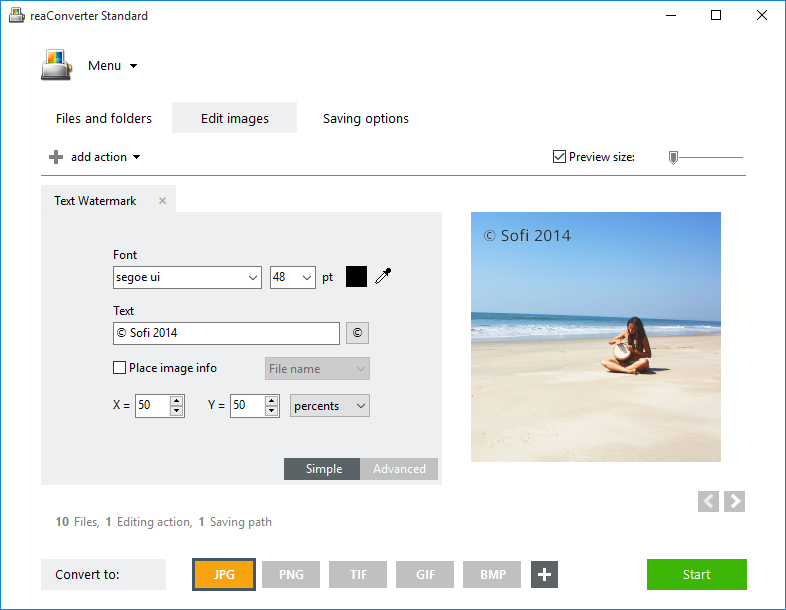 Then just start the conversion and quickly enjoy all your photos in an accessible format! Advanced users can do the same using command line converter in manual, automated or scheduled mode. You are welcome to contact our technical support when you have any questions about reaConverter. ReaConverter is a great solution for efficiently managing a large amount of photos, on a frequent basis. 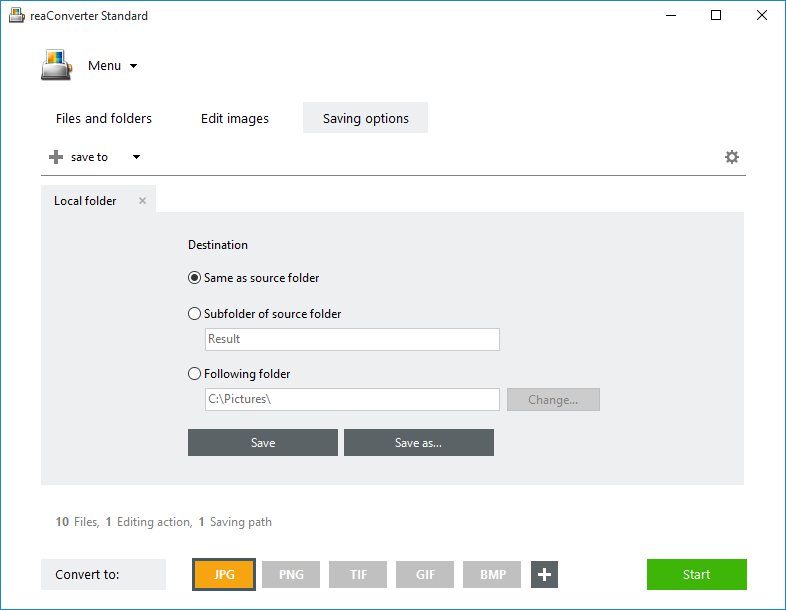 However, if you are planning to convert only a few ARW files and only once in a while, then you can also try IMVERTER – free online photo converter. This entry was posted in Image conversion, RAW formats and tagged arw, converter, image, jpeg, jpg, png, raw, sony, tiff on April 29, 2013 by reaconverter.